Do Systems Rob from Skill Development? So people began going back and forth on this a bit, some coaches expressing their opinions more politely than others. 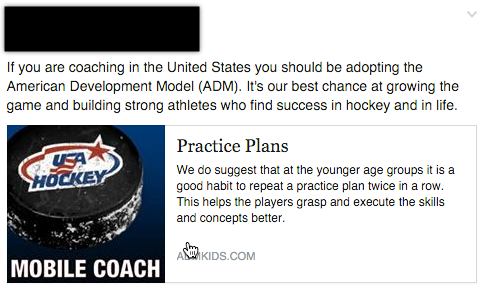 Then one coach said something to the effect that ADM is garbage, and that the kids don’t learn systems under ADM.
At this point, I figured it was time to address the topic, and show the results of my approach in action. So, I put together the video above. The reason I feel so strongly about this topic is that the stakes are extremely high. If we get this right, our kids will be miles ahead of their peers. Get it wrong and it’s a big setback. I believe that if we structure our development properly, Systems vs Skill Development doesn’t have to be an “either/or” proposition. In fact, it’s quite the opposite: skills can be developed BETTER when you’re teaching systems too; and systems can be progressed FASTER with better skill development. 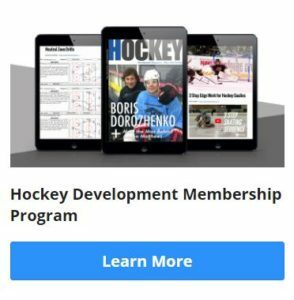 What Takes More Skill, Dump & Chase or Systems Hockey? Next time you have a chance, go down to the rink and watch a Mite game. My guess is that you’ll see a bunch of kids, slapping the puck around and chasing it. If they’re going cross-ice 4 on 4 (like ADM recommends), wherever the puck goes, you’ll see 8 kids clustered around it, battling like piranhas in a feeding frenzy. Eventually the fastest kid will come up with the puck, take it all the way down the ice, and score. 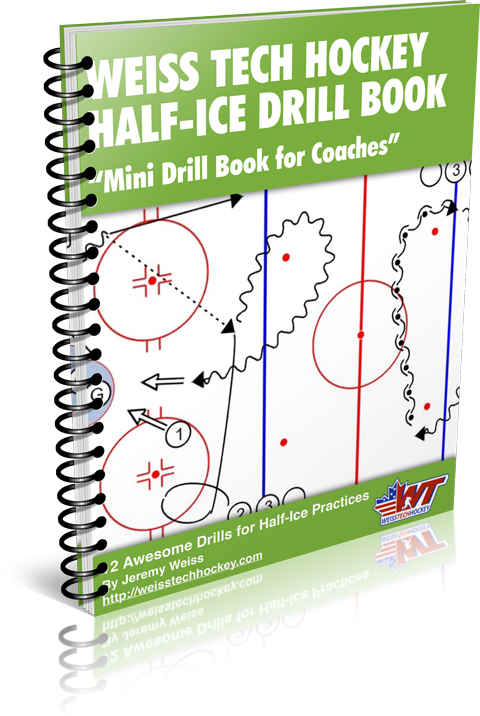 So here’s the question: Does it take more individual skill to slap the puck and chase it, or to set up a breakout, carry the puck behind the net, find a teammate on the boards, make a stick to stick pass, carry the puck wide, then pass to the middle for a goal? Obviously, the controlled game takes more skill. It also takes more effort as a coach. But it is so much more beneficial to your players! As you’ll see in the video above, I teach basic positioning to my Mite house team, and it works beautifully. Not only are they the team with the best positioning, but they’re also the highest skilled, across the board, of any team we’ve come up against. If it can be done at the house level, it can be done even better with higher-level players!